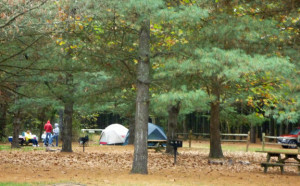 Camp OutBack has 25 wooded campsites under a canopy of hardwoods and white pines. Each site accommodates up to 10 campers and includes a picnic table, a charcoal grill and fire ring. 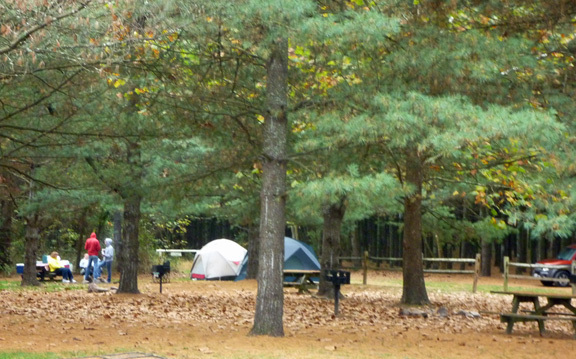 The campground borders George Washington National Forest and has a walking trail to the Shenandoah River (1/4 mile). You can drive to boat landings within 1/2 to 1 1/2 miles. 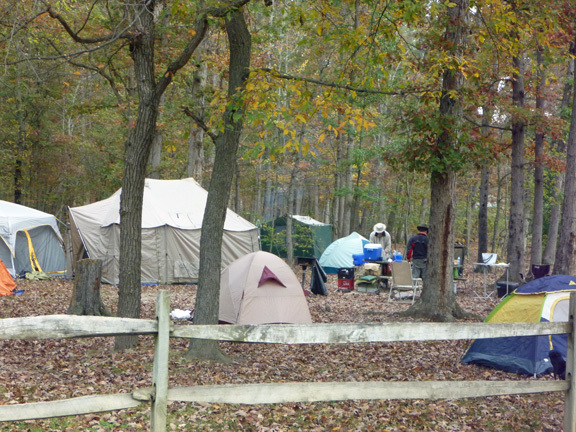 Camp OutBack is 10 miles from Luray and in the heart of the Shenandoah Valley close to Shenandoah National Park. 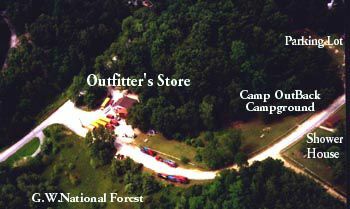 Facilities: Restrooms, hot water showers, firewood for sale, a small camp store at the Shenandoah River Outfitters which offers canoe, kayak, raft and tube rentals. To Reserve: Call in to reserve or reserve online. If reserved online, one person has to reserve and pay for all that are using the campsite.You will need to sign up as a group leader ( min. of 20) to have each pay separately. See more information on being a group leader here. Non-profit Group Rates–Mid-week (non-holiday)–for church, school and scouts-each site is $20/night minimum for 1 to 4 persons. Each additional person is $5.00 per person per night with up to 10 persons per site. We reserve a space for you but not a specific campsite. It is ‘first come, first serve’ on selecting a specific campsite from the ones that are not taken. Check out time on Saturday and Sunday is by 10 AM. Other days–by 5 PM. Please read the Camp OutBack Rules for our campground. Camp OutBack is open from April 1st to the first weekend in November – weather dependent. If we are booked for the night you might like–consider canoeing and camping along the river in GW National Forest-primitive camping–the way camping use to be!